About me Learning with the market. Always a student. 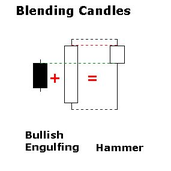 Looking for looking for hammer doji pattern. looking for simple trading and simple life. #BAJFINANCE looks good to me. stop will be the same candle. small stop.. i love small stops. love small stops. i can see support and hammer which is good to go for me. SBUX -- wait for it. With stop 687. i love small stop and big win no profit targets. nice candle.. small stop... have a nice day!!! i love long shadow... this is weekly. small stop.. love that always.